whole: A black and white, manipulated photograph, cut out and orientated to the left side of the sheet form the poster's background. Across the top of the sheet is a line of bold black type and below this a line of bold red type. There are two more lines of black type just below the image in centre right portion of the poster, the final word is highlighted in red. Below this, across the bottom of the sheet is a green band containing white type. image: A side profile of Tony Blair's smiling face in which his nose extends across the page. The tip of his nose becomes the nose and cockpit of a plane which is marked with a star emblem and contains a pilot. 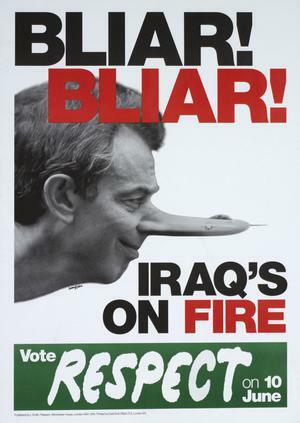 text: Bliar! Bliar! 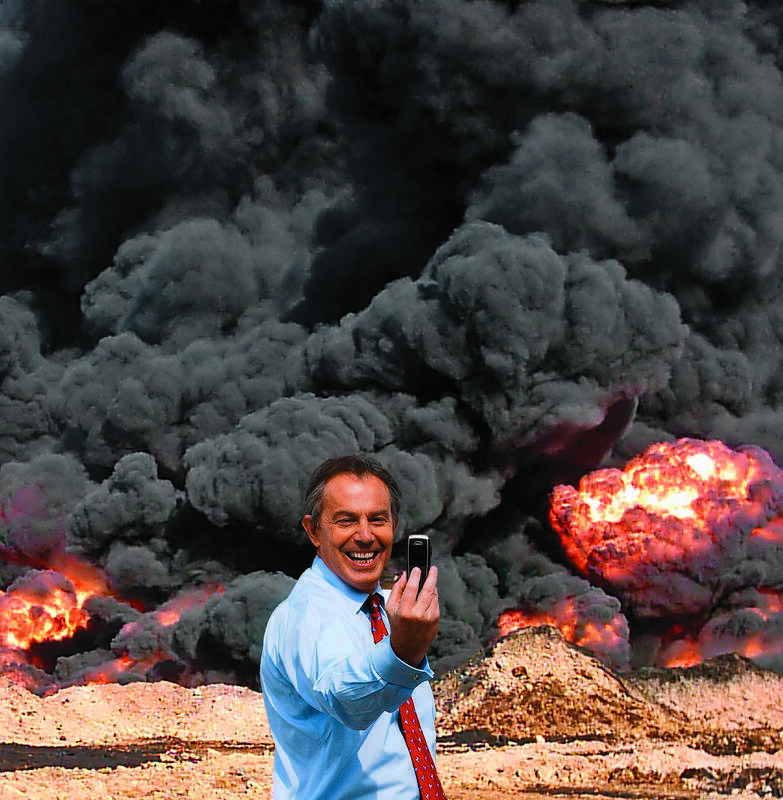 Iraq's on Fire. Vote Respect on 10 June. Bliar! Bliar! 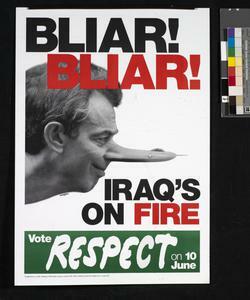 poster, designed by political cartoonist Leon Kuhn (1954-2013), uses anti-Iraq War sentiment to e ncourage people to vote for the Respect Party in the 2005 general election. The Respect Party grew out of the left-wing politics associated with the Stop the War Coalition. George Galloway, a supporter of Stop the War, was elected as Respect’s first MP in 2005.